We first met April at an open house and knew right away she was the agent for us. Her warmth and professionalism were very apparent right from the start. We had recently relocated from the east coast and were unfamiliar with the market and brokers in the area, but April put all of our fears to rest. She guided us through the whole process with patience and a great knowledge of local market. Everyone at The O'Dell Group was a pleasure to work with and extremely helpful from beginning to end. The whole team made us feel like family! My husband and I had been looking for a home since 2011 in North Tustin/Tustin. In God's perfect time, Nicole Galey and I crossed paths. When I met her, I felt she could be the the right agent to represent and help us find our home. Nicole was persistent, driven, a go-getter and hard worker. She made sure we got the home to suit my family's needs. We enjoyed working with her and liked her "down to earth" personality. I highly recommend her and The 'Dell Group! Emma M.
We were one of Dean's first customers and definitely recommend him. Dean will find you the right home because that's what he did for us. Scott N.
I cannot speak more highly of any real estate group than The O'Dell Group. We have known them forever; very knowledgeable in the North Tustin/Cowan heights market place. They have an excellent understanding in how to match clients’ needs with the properties available. If you are going to need a Real Estate Group in this area we highly recommend The O'Dell Group. Gerry Y. The O'Dell Group is a wonderful team of professionals. 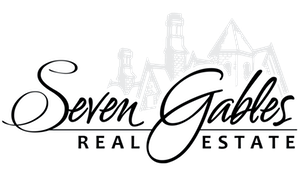 Throughout the process of helping us sell our home and find another, we found The O'Dell Group to be supportive, encouraging, professional and absolutely wonderful! We highly recommend The O'Dell Group to anyone considering a team to help you buy or sell a home. Thank you! Pam & Mark C.
As you know, we had our house listed for almost two years with two other realtors prior to retaining you. The other agents lacked your expertise, professionalism and knowledge of Tustin, Orange, Irvine and adjacent areas. Robin L. Wulffson M.D.